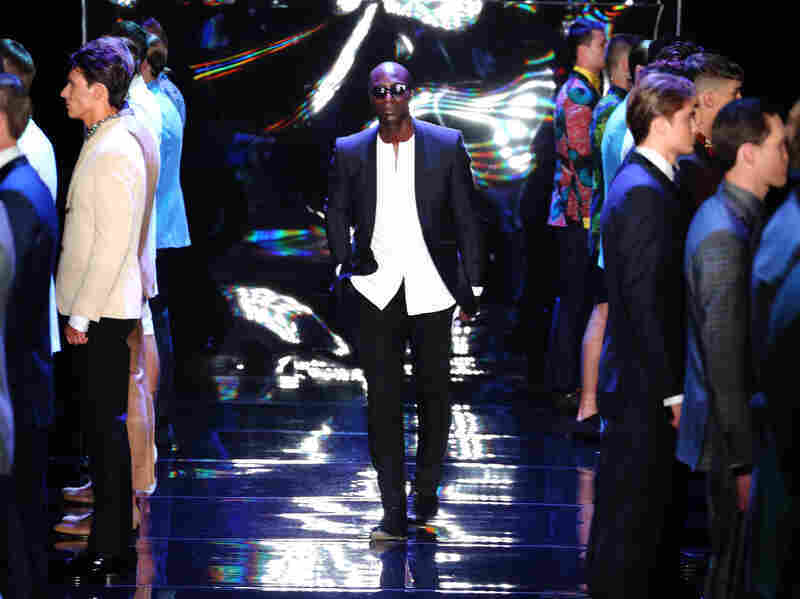 British Designer Ozwald Boateng's Dream To Dress Africa Boateng became the first black designer on London's prestigious Savile Row. Since then, he's made quite the name for himself; his tailored suits cost as much as $40,000. Host Michel Martin speaks with Ozwald about his career, style and Ghanaian heritage. Oswald Boateng was the first black tailor to have a shop on London's Savile Row. He has designed for the rich and famous. 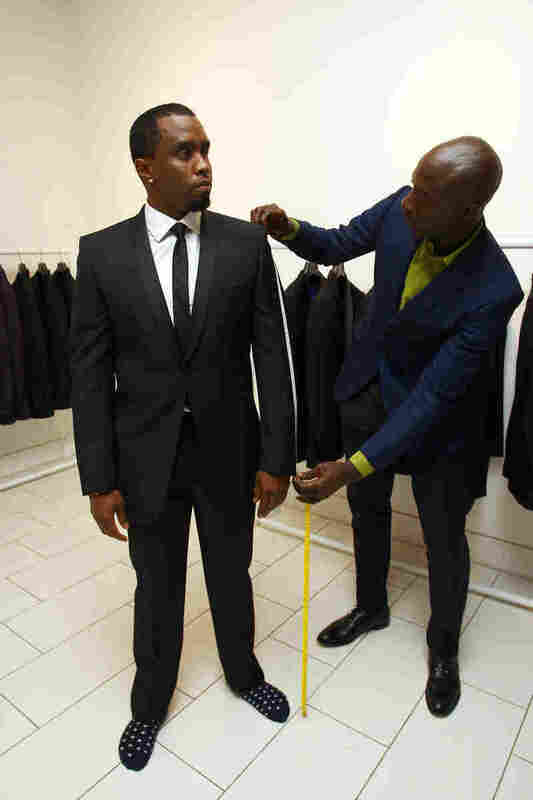 Boateng measures musician Sean Combs, aka P. Diddy, for a suit. His tailored suits cost as much as $40,000. 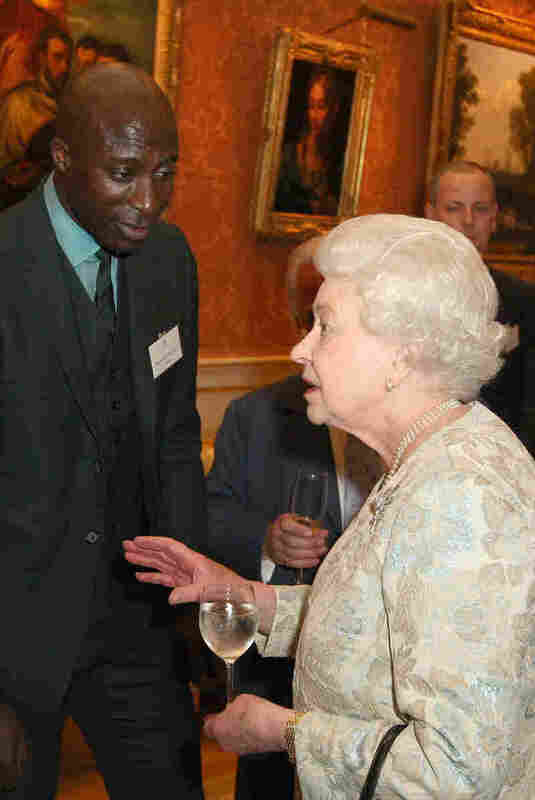 Queen Elizabeth II meets Boateng. Boateng and actor Jamie Foxx attend the U.K. premiere of Django Unchained. Models walk the runway during Boateng's show at London Fashion Week in 2010. Actor Laurence Fishburne once said, "When you wear an Ozwald Boateng suit, you become a statesman of cool." Ozwald Boateng was the youngest and first black tailor to have a shop on London's prestigious Savile Row, a street renowned for its fine tailoring, where the world's royalty come for their attire. Boateng also dresses athletic and Hollywood royalty. Actor Laurence Fishburne once said, "When you wear an Ozwald Boateng suit, you become a statesman of cool." Boateng is also a statesman for something else: the future development of Africa. 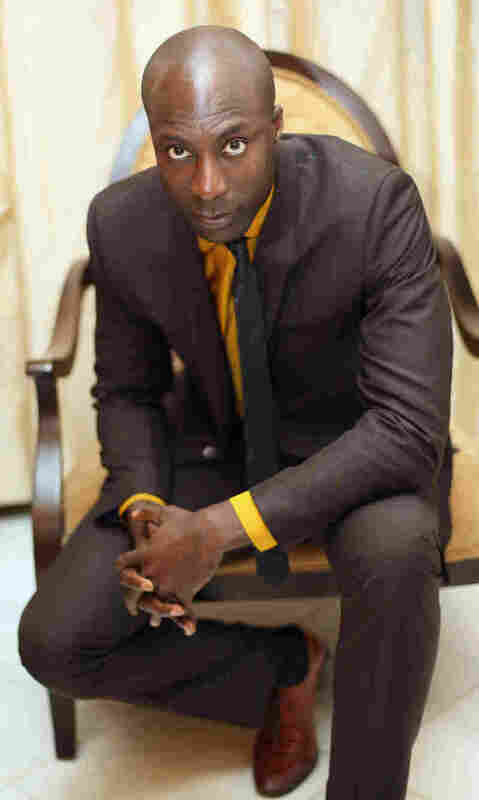 He joined Tell Me More host Michel Martin to talk about style and diplomacy. "I fell in love in college with this really amazing girl who could paint and draw with both hands. And she is the reason why I design clothes. She basically pointed me in the direction to discovering my talent." "I think men dress for women, definitely. But also they dress for themselves — if they understand that what they are wearing makes them feel better about themselves. I mean, the big thing for men is confidence. And so I like to believe that what I create enables men to be more confident about who they are." "It's funny. So someone always asks me a question: 'So how did you get into this passionate place on infrastructure?' And it's, you know, quite simple: I just want to open shops back home." "I think Africa has always been very excited about Obama. You know, he just demonstrated the possibility and he allowed many Africans to dream. So bearing that in mind, and bearing in mind that he goes to Africa carrying that lantern of promise, he needs to use that. ... He needs to engage in Africa in really unlocking its potential. I think he should invest in Africa infrastructure the same way the Chinese are doing. And he needs to be more involved. And I actually think that if he can get Africa to a place where it's a proper partner for the world, I think the world will be in a much better place. So if we get it right in Africa, we get it right for everybody."